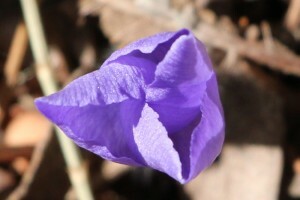 I caught this Patersonia, just as the petals were unfolding. Most of the other images I have found show the flower fully opened, but I love how the petals are folded round each other. This is a variation of the yellow flag native iris and are only found in southwest Western Australia.